. 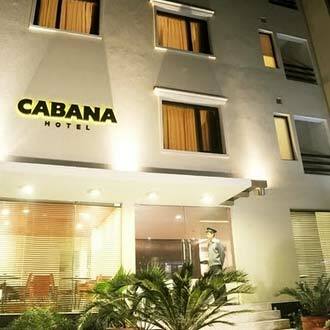 :: Cabana- A Boutique Hotel NEW DELHI :- Ace Tours ::. 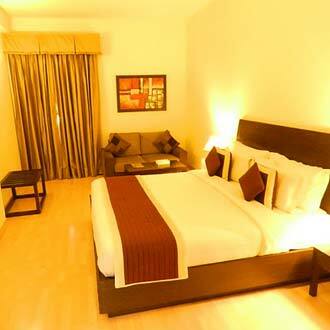 Nestling amidst the business and commercial districts of South Delhi, stands Hotel Cabana a trendy budget hotel. There is a well styled marble lobby area, which feature a contrasting red sofa set with red bar stools, creating a vibrant ambiance. 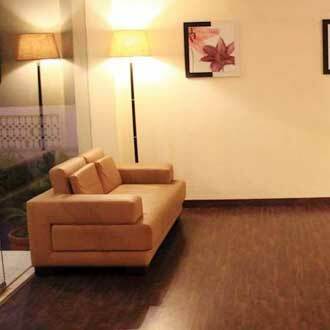 A chic cafe, serving hot coffees and tasty snacks, and 27 well-appointed rooms are maintained within. Guest amenities include front desk assistance, 24 hours room service and turn-down service. 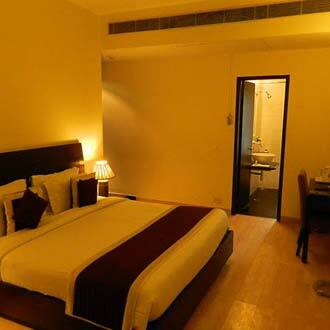 The hotel is located in the heart of South Delhi and is at a close proximity from most of the commercial and business centers of the city. 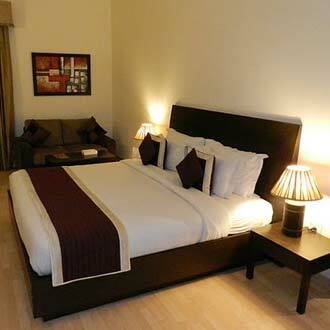 Deluxe Single Room Fairly spacious, these soft-coloured rooms are 192 sq.ft in size and is designed with wooden floors. A king-size bed with white linen stands in the center along with the bed-side stools carry contemporary lamp shades with it. 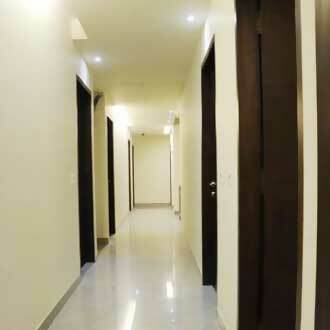 The well-kept bathrooms are m,aintained with ample supply of hot/cold water. Room amenities include a satellite LCD TV, an intercom phone, and wireless Internet connectivity, and also include round-the-clock room service. 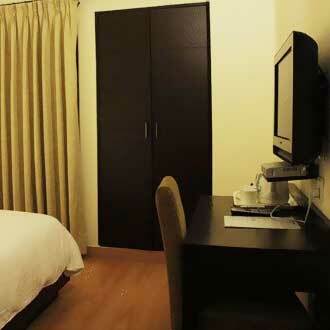 Executive Single Room The Standard rooms are 212 sq.ft. in size and are designed with wooden floors and are well complimented by the polished wooden furniture, which is inclusive of a king-size bed, a work desk and a chair, functioning as a work space. Attached bathrooms are p,rovided with ample supply of hot/cold water. 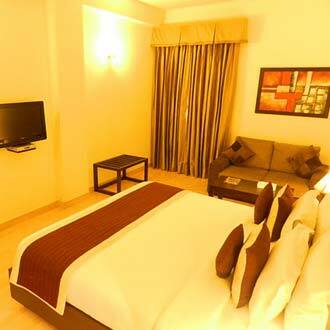 The room is equipped with an LCD satellite TV, an intercom phone and wireless Internet connectivity. 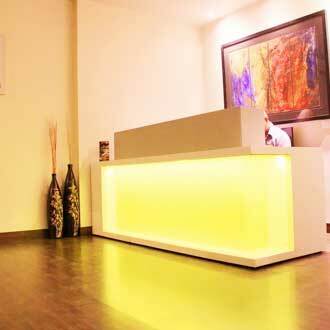 24 hrs room service facility can also be availed. 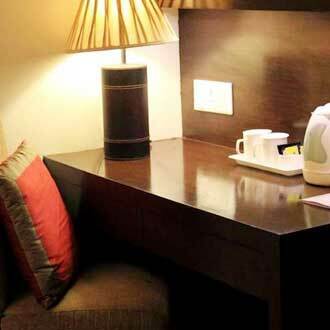 NON ACTIVE The stay is in a fairly spacious soft-coloured room maintianed with a king-size bed with white linen stands in the center along with the bed-side stools carry contemporary lamp shades with it. The well-kept bathrooms are maintained with ample supply of ho,t/cold water. Room amenities include a satellite LCD TV, an intercom phone, and wireless Internet connectivity, and also include round-the-clock room service. Premium Single Room These well-lit 282sq ft rooms are styled with contemporary decor that is well complimented by light coloured walls and fine linen. A king-size bed dominates the scene, a small sofa rests by the side, a work desk and chair are present functioning as a work,-space. 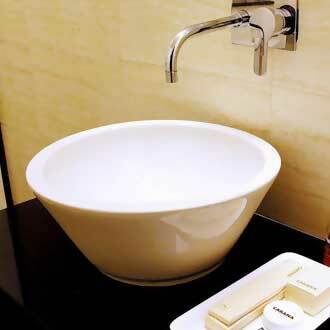 Exquisite bathrooms are maintained with ample hot/cold water. 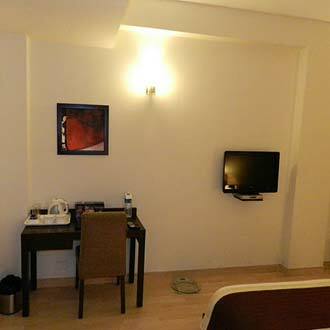 A satellite LCD, intercom, and wireless connectivity are some of the in-room amenities. 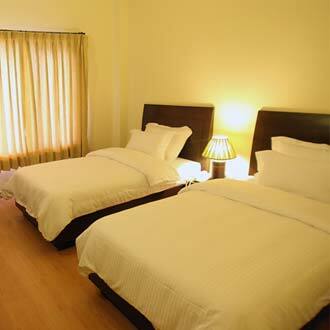 Guests can also avail round-the-clock room service and the turn-down service.